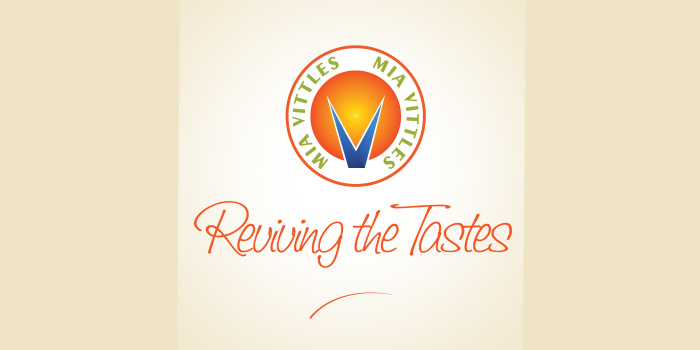 MIA VITTLES a subsidiary of MIA Holding (Pvt) LTD is the master franchise license holder of internationally acclaimed food & beverages brands and the former master franchisee of Tutti Frutti frozen yogurt for the territory of Pakistan. With its corporate base in Islamabad, the MIA VITTLES currently employs around 100 people. Our diversified business interests include expansion of international brands franchising and retail flagship outlets. Our commitment to service, quality and value makes us stand out from the crowd, helping us to carve new milestones in the food industry. To better cater to our customers, we have taken the best from the world cuisine ranging from Turkish to Taiwanese and American food,and launched some very popular food concepts and brands –Frozen Yogurt, Big thick burgers, Doner kebab and Turkish cuisine. We have entered into strategic partnerships with popular food chains and acquired master. franchise rights of leading international food franchises(BRANDS) Chatime, Chicken house, Mr Potato, Frutti 5 and Ozsar Doner. For us it is not just a business, but a passion. We are dedicated to provide quality service in MEP’s, hospitality, food, facility management and manpower serving sectors allowing our clients to focus on their key goals and objectives. Our products include a lot of delicious flavors with sweet-aromatic toppings to help our customers to create their dream choice. By having an easy to read menu, lots of color and exciting choices, having Doner Kebab, Fries, Frozen Yogurt and drinks with us is a treat in more than one way. Our vision is to create a fun, energetic, and positive experience to a destination spot of the product. The focus of MIAVITTLES is to encourage all age groups to come and enjoy a healthy snack while enjoying the company of our service and others in the store. Opening at morning and closing fairly late enable us to capture all of Pakistan’s demographics ranging from families, retirees, and college students. We offer the product through quick service model that the customers will be able to use by themselves. Customers are able to pick from the different sized glass for a drink and preferred kebabs for a perfect eating experience along with that would be a huge menu offering different types of teas, coffee, smoothies, and slushes. Our employees offer a clean store with a hip, contemporary, and friendly atmosphere. The overall day-to-day operations of the business are quite simple. 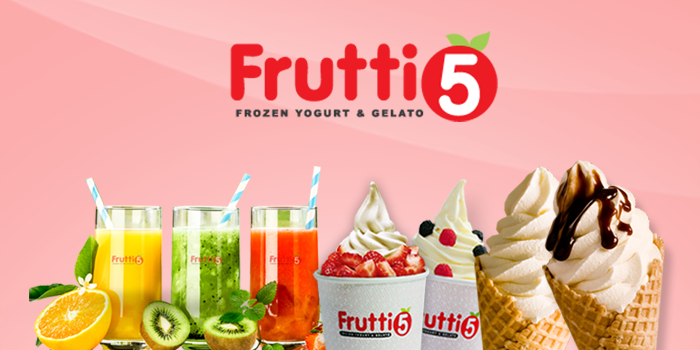 Frutti 5 is the owned brand of MIAVITTLES and has the best frozen yogurt experience. Our products consist of many different flavors and a variety of toppings. We offer the product through self-service yogurt machines that the customers will be able to use themselves. The product is fortified with added calcium, “low carb” (no sugar added) and other nutrients. Customers are able to pick from the different sized cups that we will offer and fill them with blended yogurt and add as many flavors and as many toppings as they want. They will put the cups on a scale and pay by per gram. The overall day-to-day operations of the business are quite simple. The employees and working staff strictly follow the hygienic conditions and overall outlet environment with the sense of professionalism and efficiency. Along with frozen yogurt, we also offer refreshing juices, chilling waffles and delicious smoothies. Join us at Facebook to know more about Frutti5. As master franchisee of Ozsar Doner we are devoted to providing consumers with high-quality, high-value branded products that are flavorful, healthful and convenient. We strive to set industry standards for product quality, work environment and community engagement. The Özsar Doner unique ‘fusion’ concept uses only 100% veal and pure chicken fillets (100% Halal) together with locally produced fresh vegetables prepared on a daily basis and special bread. Its unmatched flavor is derived using a combination of original Doner meat and chicken blended with multiple original sauces. The thin slices of meat are served lots of different ways: plain on the plate, stuffed into Turkish bread (döner sandviç), rolled into flat bread (dürüm), or laid atop diced flat bread and topped with sauces. We bring you the same wonderful experiences from our warm Turkish hospitality; to the authentic aromas in our kitchen; to our flavorful, handmade recipes passed down for generations. The goal of continuous growth without compromising the vision in Özsar who is one of the most beautiful and the most delicious service, ensures the guests to share making lives better for our consumers, employees and our surrounding communities comes first at Özsar. We aim to be a company people aspire to work for, with an environment that nurtures and expects innovative solutions from all. We strive to set our industry’s gold standard for quality and product and employee safety—making an impact that far outweighs our size. Qualified equipment & careful R&D with training and development module. Experience Doner House at 4th Floor, Food Court, Centaurus Mall, Islamabad. Join us at Facebook to know more about Doner House. Chatime is one of the fastest growing Bubble Tea franchise in the world. Founded in Taiwan by LaKaffa, the franchise and brand has grown to be a worldwide sensation. With more than 1000 stores in Malaysia, India, Australia, Thailand, China, India, Indonesia, UAE, Philippines, United Kingdom USA and Canada. Chatime is experiencing exceptional growth at a rate of more than 80% during the past two years and is currently one of World’s fastest growing franchises. Chatime provides stylish and health-conscious customers with various selections of freshly brewed tea infused with different natural flavors. Through implementing the idea of “High Tech Tea Making” procedure, we use simple operation steps to ensure high-quality drinks for every customer. Chatime is the only tea based concept that produces freshly brewed tea on site using patented Teaspresso machine fresh, innovative, health conscious and wide range of products with around 50 beverages. Customizable according to the consumer preferences – Adjustable sugar levels, ice levels and add on such as variety of toppings. Maintain high standards of quality- HACCP and ISO 9001. Flexibility of operations-from kiosks to full fledge standalone stores. 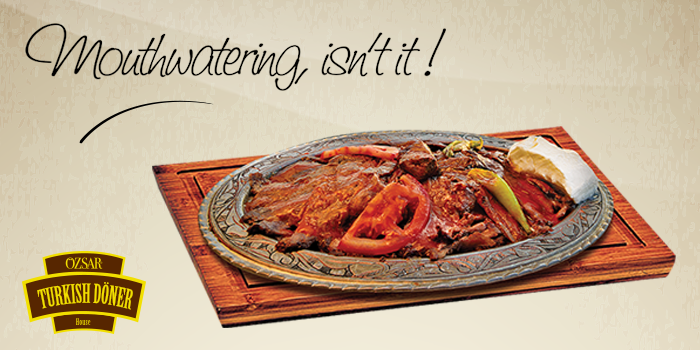 Chicken house is the biggest restaurant company of Izmit (Turkey) – Özsar by the family of meat experts. Özsar containing a-la Carte, express and steakhouse concepts realized that the idea of building a fast food chain that it had planned for years. Chicken House Brand, whose R&D studies went back to 2002, was established to present special tastes to consumers with special crispy ingredient and sauces prepared in result. Chicken House whose menu consists of mostly chicken, contains tastes satisfying Turkish taste understanding also. 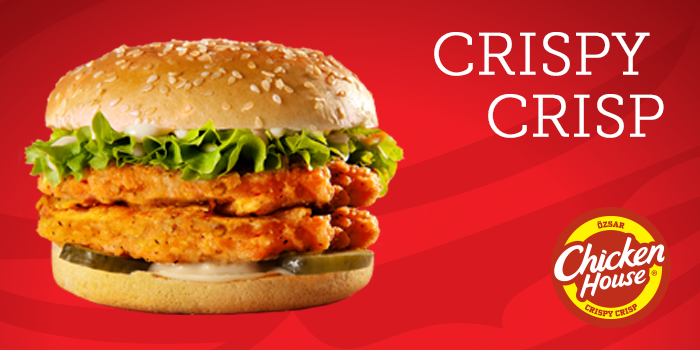 It present marvelous tastes with 5 different spices that creates juicy and fresh chicken topped with the delicious crunchy coating. Products like drumstick, wing, finger and hot piece are served after cooked with Chicken House’s special ingredients in a standard and ideal cooking time specific to each product. Furthermore, they can be made more delicious with special sauces. Özsar, as one of the leading companies in the business, strengthens quality and hygiene standards with its sub structural efforts, equipment and working procedures. It manufactures all products of it under hygienic conditions suitable for human health as required by its respect to itself, its family and the society. Continuous development and improvement in the process between the suppliers and customers is not a separate activity but a part of the quality management system. Environmental protection and awareness is the integral part of the Chicken House manufacturing activities by means of improved quality of products and services continuously. MR. POTATO is also an owned brand of MIAVITTLES; a specialty brand serving authentic Belgian fries, you will find the tastiest treat in town. Our fries are premium fresh fried potatoes, crunchy on the outside, and soft inside: a self-indulgent pleasurable treat. MR. POTATO isn’t just offering an affordable indulgent treat, but an exciting and enjoyable eating experience as well. Pakistanis have been eating their fries with everything but ketchup for many years, and now we are able to indulge in the crispiest fried potatoes with a premium selection of sauces to try from. The potatoes are cooked in non-hydrogenated, Trans fat Oil, which is also low in saturated fat and cholesterol free. Our unique three stage cooking process is designed to seal in the flavor and nutrients of the potato and the results are a crispy lightly golden French fry. Each cup is cooked right when you order to ensure you get the best fries possible, hot and crisp on the outside, and fluffy like a baked potato on the inside. At Mr. Potato, we are committed to using only premium ingredients to make each cup of REAL. FRESH. FRIES. A powerhouse of nutrients, potatoes offer an excellent source of potassium and vitamin C, as well as being a source of iron and fiber. Plus they are low in fat and are cholesterol free. Best of all, French Fries also offer up much of this same goodness. Our products are delicious, nutritious, affordable and convenient, all which contribute to making people feel good and enhancing their sense of well being. Eaten in moderation, as part of a healthy diet, our products can play a significant role in our customer and consumers’ daily lives. That said, we want to be a part of the solution to an ever growing desire for healthier convenience food products offered at an affordable price. MIA VITTLES a subsidiary of MIA Group & holds the master franchise license of following internationally acclaimed food & beverages brands in the territory of Pakistan. .